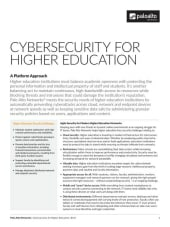 Read this brief to discover how Palo Alto Networks meets the security needs of higher education institutions by automatically preventing cyberthreats across cloud, network and endpoint devices at network speeds, as well as keeping sensitive data safe by administering granular security policies based on users, applications and content. Learn how certification from the fastest growing security company in the industry can benefit you. NTUT chose two PA-7000 Series with more than two expansion card versions, working in tandem with two existing PA-5050 systems to provide optimal security, scalability, and performance. 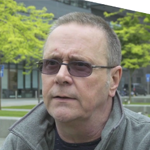 Palo Alto Networks working with Khipu Networks implemented a security solution at the University of Manchester that transformed the way the students get access inside the network. Since the release of the Cybersecurity Framework (CSF) by the U.S. National Institute of Standards and Technology (NIST), organizations worldwide have implemented the framework to better understand and manage cyber risk. The CSF can be applied to businesses of all sizes, across regions and industries, and is being incorporated into national risk frameworks around the globe. Given its proven ability to aid in risk management and reduction, some industries have even begun to mandate its implementation. Namely, the White House recently issued an executive order requiring all federal agencies to immediately begin using the CSF to assess and manage cyber risk to protect critical infrastructure in their enterprises. Designed to foster positive and productive risk and cybersecurity management dialogue among internal and external business stakeholders, the CSF provides a common language for all appropriate teams, spanning IT, operations, security, finance, C-suite and board of directors. Based on this open dialogue, organizations can more effectively quantify risk and prioritize investments to mitigate it. 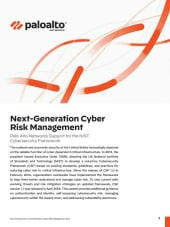 Palo Alto Networks® Next-Generation Security Platform aligns with the CSF’s primary directive of enabling critical infrastructure operations to effectively identify, manage and reduce cyber risk. Rooted in prevention, the Next-Generation Security Platform is natively integrated to counter cyberattacks before they manifest in an organization’s environment. 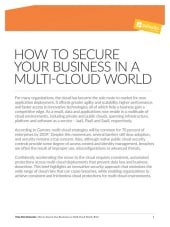 With full visibility into traffic – across the network, endpoints and the cloud – organizations can prevent cyberattacks based on how or where applications and data reside or are being used. 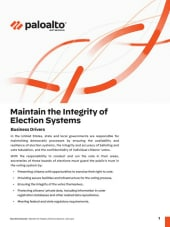 This allows critical infrastructure organizations to identify the most serious ongoing threats to key business operations and reduce overall cybersecurity risk. Download this white paper to explore the benefits of the CSF and how Palo Alto Networks Next-Generation Security Platform capabilities map to and fulfill CSF subcategories. 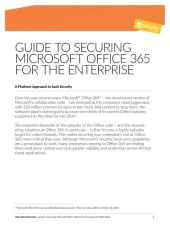 The Security Reference Blueprint for Higher Education outlines security principles and a framework using the preventative capabilities of the Palo Alto Networks Next-Generation Security Platform. 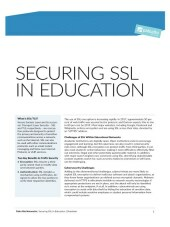 Using this blueprint enables education security and IT professionals to protect PII and IP data, maintain a high-performance, high-availability learning environment, and prepare to meet new and emerging technological challenges while reducing security threats. 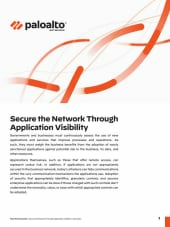 Read how Palo Alto Networks Next-Generation Security Platform met all the CSU’s key objectives with a single platform and single vendor solution. Palo Alto Networks has achieved the 2015 Certified Assisted Technology Support (CATS) Certification from J.D. Power for providing exceptional commitment and support to our customers. Palo Alto Networks® (NYSE: PANW), the leader in next-generation security, today announced that the University of Portsmouth has selected, deployed, and consolidated its security infrastructure on the Palo Alto Networks security platform. A research-intensive university with over 23,000 students, the University of Southampton is a leading entrepreneurial ­institution in the United Kingdom. 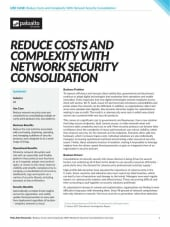 When the University sought to significantly expand throughput to support an increase in students, improve network stability and services to users, heighten security, and lower IT management burdens, they ­selected Palo Alto Networks Nextwave Channel Program Platinum ASC CPSP Partner Khipu Networks, working with ­European ­Electronique under the NEUPC procurement framework, to partner with them to meet their long-term strategic goals. Brigham-Young University chose Palo Alto Networks to redesign its IT security infrastructure on a zero trust model with a next-generation firewall as the linchpin. The University of Westminster is an educational institution for the modern age. It delivers relevant, career-focused courses to more than 20,000 students from around the world—studying at campuses in central London and Harrow. The university works with Palo Alto Networks’ next-generation firewall solution, along with its security supplier Khipu Networks, to protect its networks and enable secure access to thousands of its users, whenever they need it and wherever they may be. The Virginia Commonwealth University Medical Center is one of the country's leading academic medical centers. "Palo Alto Networks allow us to define and enforce appropriate user policies so that the business of the hospital always comes first, risk is minimized and our medical professionals retain maximum flexibility."